Spring Loaded Mechanical Seals by Qualiseal provides superior motor protection as opposed to ordinary lip seals used by the competitors. Powder Coated Housing to prevent body corrosion. Genuine Fernco fittings allows for easy and secure mounting to sinks and plumbing. Quick Release Lid Clamps on Series B and Series C models allow for easy servicing without dismantling or removing disposer. 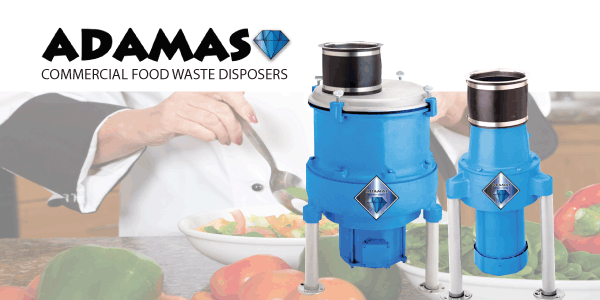 Made in U.S.A. by a company with over 60 years of experience in food waste reduction. Reversible Shattering allows for two way cutting action if needed.